HOW LONG WILL IT TAKE TO INSTALL MY NEW BOILER? This is honestly a pretty difficult question to answer, mainly because it almost entirely depends on the state of your home’s heating infrastructure when the installation begins. If you had a boiler as your previous heating system, then it’s safe to say that most of the required parts are already in place. If you didn’t have a boiler before installing the new one, then it could take up to several days to get everything acquired and installed. Let’s take a look at some of the parts that may increase installation time if you don’t have them. If you’re installing a boiler, then you are likely going to be using a radiant heating system for your home. Radiant heating systems rely on water pipes to distribute heat throughout the house. These pipes are usually installed in either the subfloor or the walls of each room. As you might imagine, this requires quite a bit of work unless you’re building a brand new house or remodeling an old one. The walls or floor will need to be torn up to allow the new water pipes to be installed. This can add as much as a week or two to the installation of your boiler system, depending on how many rooms you want heated. Again, this may not be a problem if your new system uses the same fuel source as your old one. If not, though, modifications will have to be made. This is especially true with natural gas lines, which need to be connected from outside the house. Usually, installing an entirely new line should be done in less than a day. That depends on your circumstances, though. Proper venting is vitally important for both the boiler’s safety and yours. Most heating systemsrequire venting, so you probably already have the proper flue or chimney. If you used something like a heat pump before, though, you may need to have a flue installed for your new boiler. If you’d like to know more about how long your individual boiler installation may take, call BZ Dependable Plumbing & Heating, Inc. We provide heating installation throughout Teaneck. Posted in Heating | Comments Off on HOW LONG WILL IT TAKE TO INSTALL MY NEW BOILER? Depending upon your situation, converting your oil boiler to a gas boiler in your Bergen County home can make sense. One of the first things to consider is if you can even get natural gas in your area. You’ll need to find a gas supplier in your area and then actually get the gas into your home. If you don’t currently have a natural gas line, you will have to dig one and connect it to the main in the street. Sometimes new piping is required in your home to handle the gas. From there, you’ll need to either convert your current oil boiler or, if it can’t be converted, replace it entirely. If you have a water heater that burns fuel oil then you’ll need to convert that to natural gas as well. The good news is that many gas companies and the federal government offer incentives to switch to gas. Some companies will haul away your old oil or propane tanks for free, while others will actually give you a new furnace or boiler. The government may offer a tax credit for switching to natural gas as well depending upon which unit you get. The benefits for you can be numerous. Natural gas can burn more efficiently than oil and much of it is produced in the United States. This means that the price of gas can be more stable than the price of oil and that you may be able to heat your home more efficiently. The variables in this process are many and depending upon how they interact with you in your particular area can make the difference in whether switching to natural gas is a good choice for you. Contact BZ Dependable Plumbing & Heating Inc. today to learn more about the conversion process and to see if this might be a heating option for your Bergen Countyhome. TEANECK HEATING QUESTION: WHY GET OIL TO GAS CONVERSION? When the time comes to invest in a new heating system for your Teaneck home, you might also think about switching fuel sources for that system from oil to natural gas. While natural gas isn’t available in all areas, it’s often worth making the switch if you do have the option. 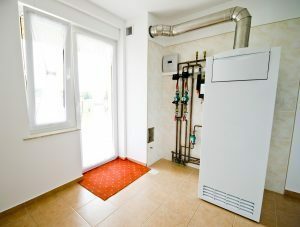 And since you’re going to be going through a new system installation anyway, the additional modifications needed to set up your home to receive natural gas rather than oil will only add minimally to the overall cost. Even if you are not getting a new heating system, we offer complete oil boiler to gas boiler conversion services to help you make the switch. If you have oil, you need to have it delivered on a regular basis. Depending on how much oil you use each heating season and how large of a storage tank you have, these deliveries can happen up to several times a year. In addition to the cost of oil, then, you are also paying for the delivery service, and you need to plan ahead to a certain extent to make sure you have all of the oil you need when the cold weather hits. On the other hand, natural gas is delivered continuously through a pipeline, eliminating the need for delivery and any associated costs. Another factor to consider is that gas boilers, furnaces, water heaters and other appliances are usually cheaper than their oil-powered counterparts – sometimes as much as half the price. Of course, the cost of all of these items goes up as their energy efficiency ratings go up. The main reason that many people switch from oil to natural gas whenever it is available is that natural gas is so much cheaper in terms of ongoing energy costs. And as oil prices are only expected to increase for the foreseeable future, it’s hard to imagine that relationship changing any time soon. So for affordable, convenient heating, natural gas really is your best option for a variety of reasons. If you are interested in a new heating system or in oil boiler to gas boiler conversion in Teaneck, give BZ Dependable Plumbing & Heating Inc. a call! Posted in Heating | Comments Off on TEANECK HEATING QUESTION: WHY GET OIL TO GAS CONVERSION?